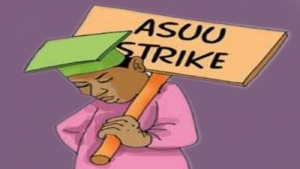 Barring any last-minute change, the Academic Staff Union of University, ASUU, Kebbi State University of Science and Technology, Aliero, KSUSTA, chapter, has concluded plans to embark on indefinite strike. The union chapter said it would continue the strike until its pending issues are addressed by the State Government. This was contained in a press statement issued by its Chairman, Dr. Ibrahim Garba Wawata, shortly after the ASUU/KSUSTA meeting held at the institution’s premise. The statement said that following the suspension of the nationwide strike by the parent body, the KSUSTA branch has decided to continue its localise strike, pending the outcome of its agreement with the state government. Wawata lamented the way and manner the government abandoned the institution, adding: “They are playing politics with the institution. “The negotiation committee, headed by the commissioner for Higher Education, who is a former university vice-chancellor, and the union resolved that government had agreed to look into their request, but nothing has been done.